How many of you have one savings account? Do you also only have one savings goal? Let’s face it: if you keep all of your money in one savings account, you may not be efficiently saving towards your goals. Your savings should be a place where you have different goals to save up for. With multiple accounts, you can set aside specific goals that are clearly defined. These individual accounts will then help you efficiently save more. Your savings money should be separated from the money you use for everyday purchases and bill payments. If you keep all of your money lumped together, you will inadvertently spend your savings along with your regular spending. If all of your money is in one place, then you can easily forget how much money you’re saving for each goal. Your savings accounts should be regularly funded, not raided for impulsive spending you can’t afford. I recommend an online savings account to set up your multiple savings accounts. 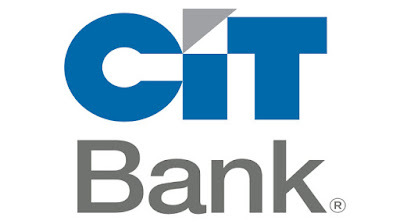 There are several to choose from but I recommend CIT Bank. Banking with CIT offers a higher interest rate than traditional big banks and comes with a lot less fees and stipulations. Traditional big bank savings accounts may require a minimum amount in the account or else they’ll charge you bank fees. With CIT Bank, you truly have no minimum balances that you need to maintain. You can open an online savings account with a $100 minimum deposit and the process only takes a few minutes. The most important reason I recommend an online bank is that it will set a barrier between you from your savings. You transfer money from your online bank to your regular bank, but the process takes 2-3 business days. Hopefully the separation of you from your savings will make you think twice about immediately wasting your savings on something frivolous. Also, it’s nice to see you fill up and reach your multiple savings goals. Here is one example of how I optimize a personalized online savings account. I owe $6648 worth of property taxes a year. This requires me to save $6648/12 = $554 a month. I put this money into my “property tax” account specifically designed for this savings purpose. When it’s time to pay my property tax, I don’t hesitate and need to scramble together this large sum of money. It’s already been purposefully saved up regularly throughout the year. Without a separate online savings account, I could fool myself into thinking I have an extra $6648 in my savings account. Now, I know exactly how much I have saved up for my different savings goals. Opening your online savings account will take you less than 10 minutes. Simply go to CIT Bank and then open a new online savings account. Once you open your account, you can easily open additional savings accounts in less than 10 seconds. You may have different savings goal from myself, such as: house down payment, car fund, wedding fund, Christmas gifts, home remodeling, new furniture, new big screen TV, etc. The point is: these individual accounts will give your savings both direction and inspiration. After you’ve saved up for your goal, don’t forget to always pay with credit.